Schools in different countries around the world such as France, Austria Indonesia and Japan celebrated the power of singing today, The message of the beautiful song One Moment , One People ,is that singing as a group is powerful and helps build connections with each other , the wider community and people in other countries. Research has proved that singing as a group improves happiness and wellbeing. The children sang 3 songs with great passion and enthusiasm including Sing by Gary Barlow and This Little Light of Mine. 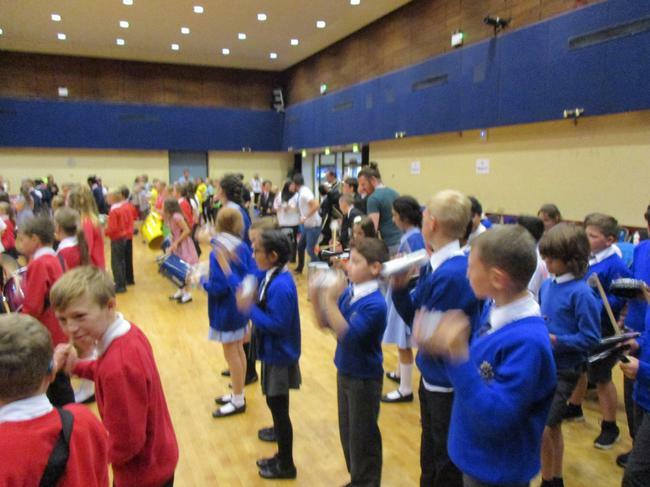 Members of OPAL were invited to join in our Sing Up Day celebration. 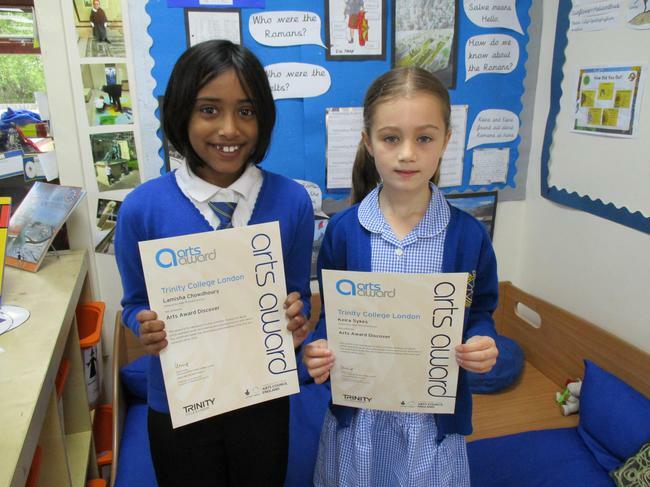 They were invited for tea and cakes before the event, served by Izzy, Sakina and Aiden from Year 5. The children enjoyed asking them what their favourite songs and music were. Y2 enjoying an ocarina lesson. In January this term Y2 were introduced to the ocarina ( meaning `little goose`) This is a small round shaped flute which is actually thousands of years old, typically made of ceramic or clay. Nowadays it is made of plastic in bright colours and is ideal for small fingers as there are only 4 holes to manage. 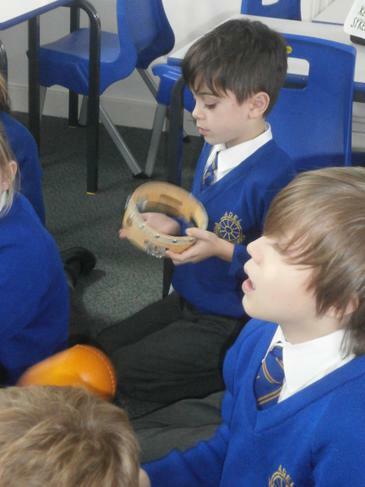 The Y2 ocarina band have already mastered Twinkle Twinkle Little Star along with a ukulele backing track. They are always very eager for their ocarina lesson on a Thursday with Mrs Outram. 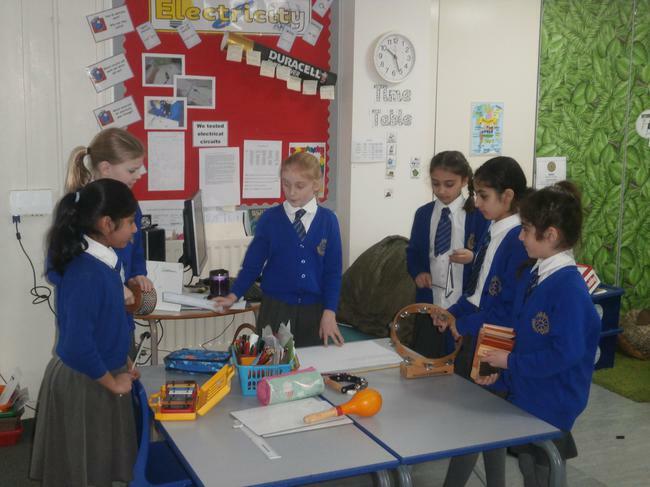 Ten children from Y3 and Y4 spent 2 weeks practicing singing Christmas songs to sing to the members of Older People`s Action in the Locality (OPAL). They sang Deck the Halls, Jingle Bells , Away in a Manger and We Wish You a Merry Christmas. They sang their hearts out and enjoyed chatting to the older generation. 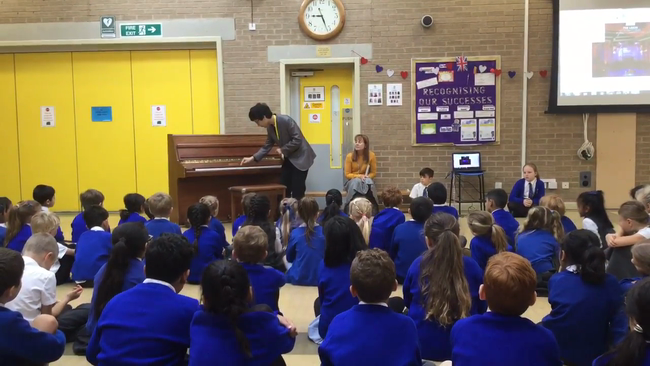 Y3 had a wonderful experience participating in the Piano Fantasia performance at Leeds Town Hall. The children found it informative, entertaining and very engaging. Olivia " I liked the tunes , some were happy, some sad. 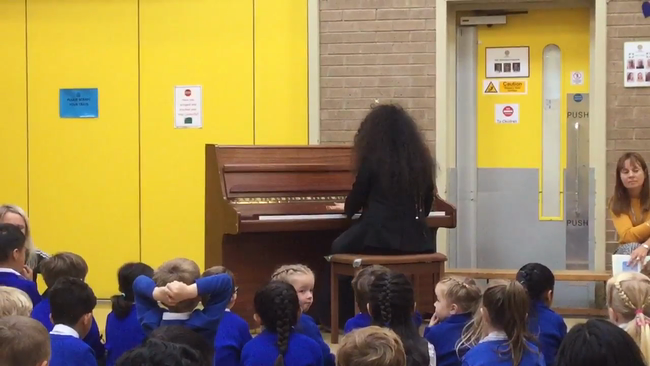 It was really nice the way they played the piano because they were all different and unique and really interesting"
Ellis "I like it when he pushes the pedals and it gets loud and soft"
Shaam "I liked the end when they played the piano together and the mayoress started dancing"
Y4 learnt how to play the `musical sticks` called claves (the word "clave"refers to the round hardwood stick used as a percussion instrument in tropical latin music,Afro-Cuban, salsa, merengue, cha cha etc) for Stick Week. They learnt how to play the 2-3 son, which is the back backbone to all tropical or Cuban rhythms. 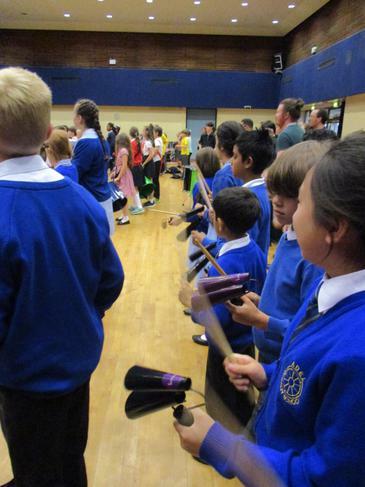 In June Y3 are going to a Ukulele extravaganza also at the Town Hall. They are learning pieces with their Ukulele teacher ready to join in. They enjoy their lessons each Friday afternoon. 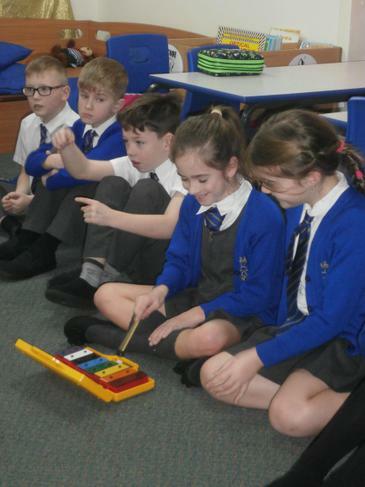 Year 2 have been learning to play the glockenspiel this term through the music website Charanga. They have been learning the notes B G E A and learning the terms `dynamics` (loud and soft) , tempo ( fast or slow) and pulse ( the heartbeat of the song). 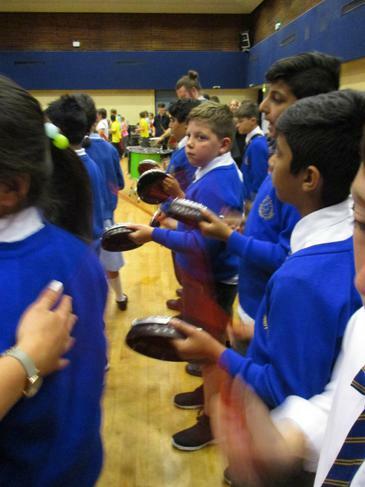 The children have enjoyed finding the pulse using tambourines, drums and clapping. 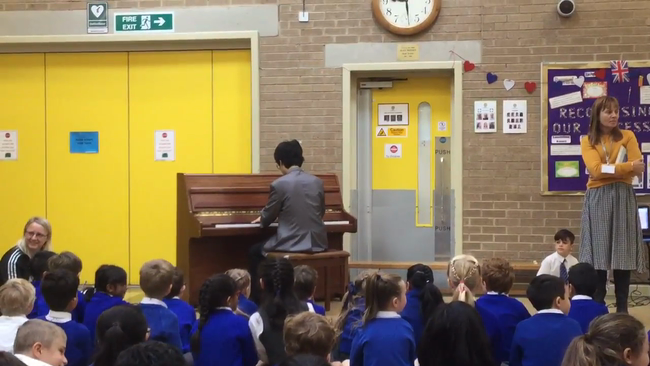 Rishi brought his electric piano in today so he could also accompany us. 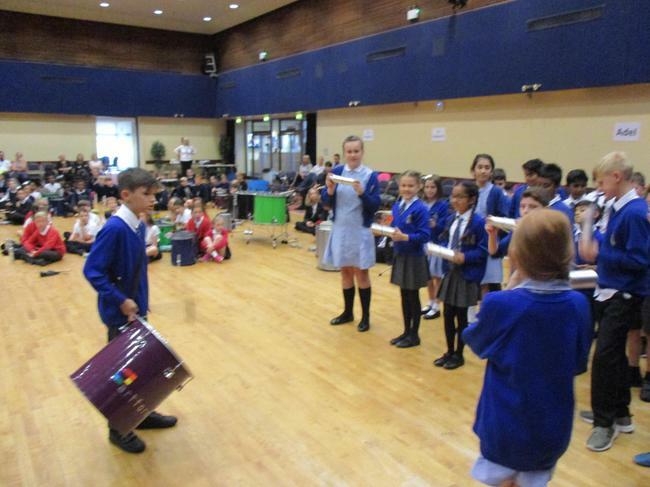 The children are also enjoying appraising different genres of music. Today we listened to Thus Spake Zarathustra by Richard Strauss. This is actually the famous piece of music from the film Star Wars. It was very popular! The children also spotted the harp in Fantasia on Greensleeves by Ralph Vaughan Williams. 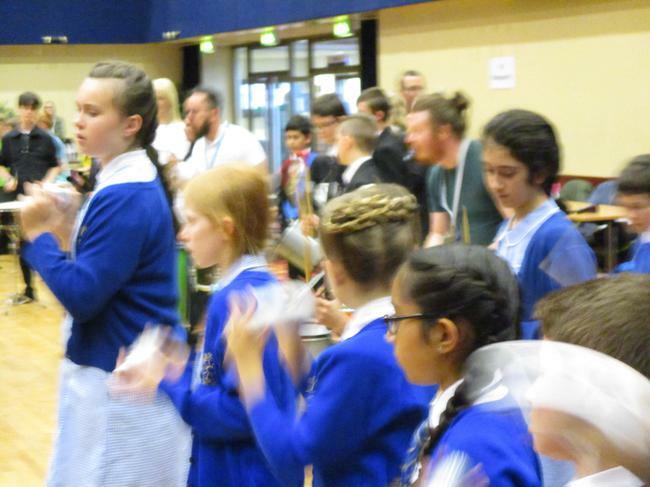 On the 11 of July 2017, Year 5 went on a trip to Pudsey Civic Hall for an amazing samba drumming workshop. 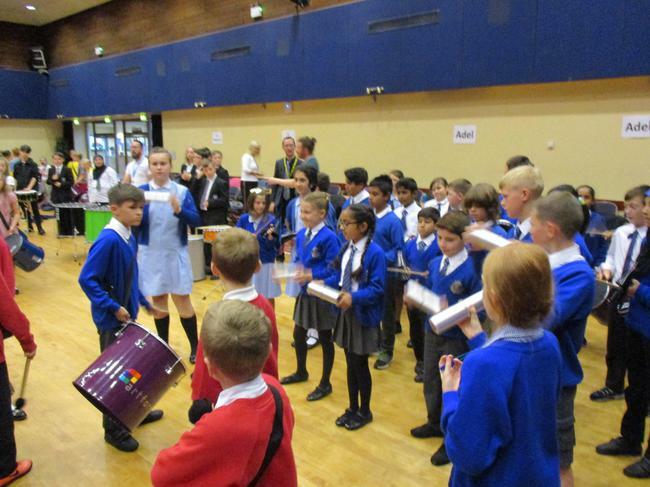 There were 5 schools with just below 150 children who participated. We had two workshops with Dan, who was our samba instructor. He taught us two pieces of music. The first piece was called the “hip hop groove”, which was our solo piece, as well as “the power of the music” which we played with four other schools. It was super loud and hurt our ears! 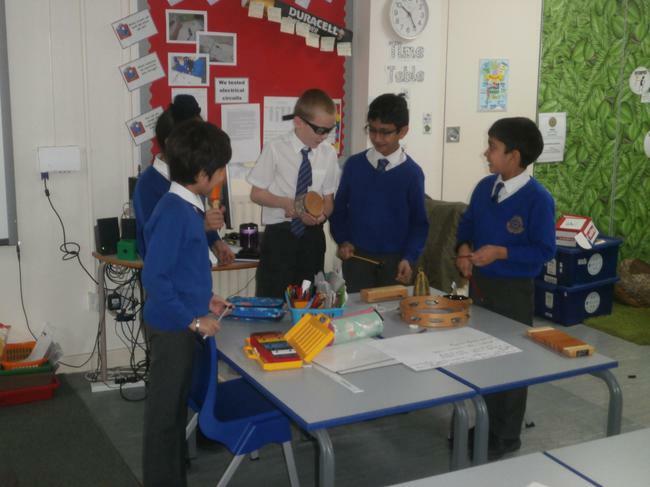 However, we really enjoyed trying out all the instruments and learning different grooves. 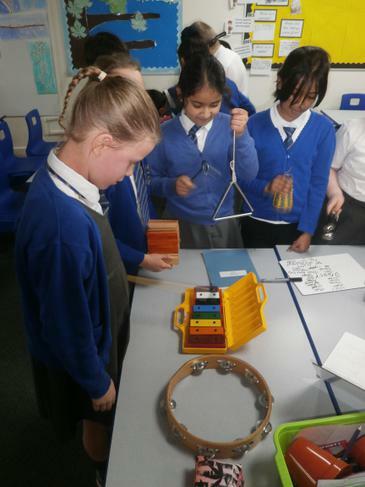 Year 5 had an amazing time using the instruments and wore exhilarated smiles the whole way home. 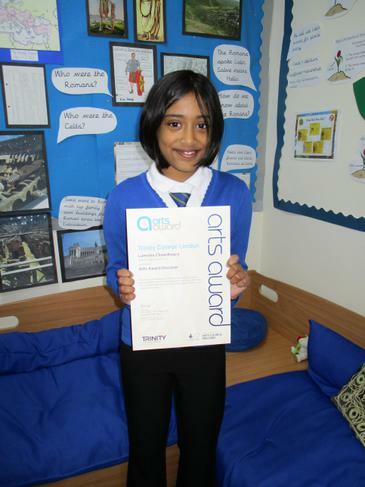 “ It took a lot of hard work and me and the class were very lively and excited!” said Omar afterwards. “We practiced for 2 months until this day finally came. We never gave up our progress and kept going no matter what happened!” agreed Amr. 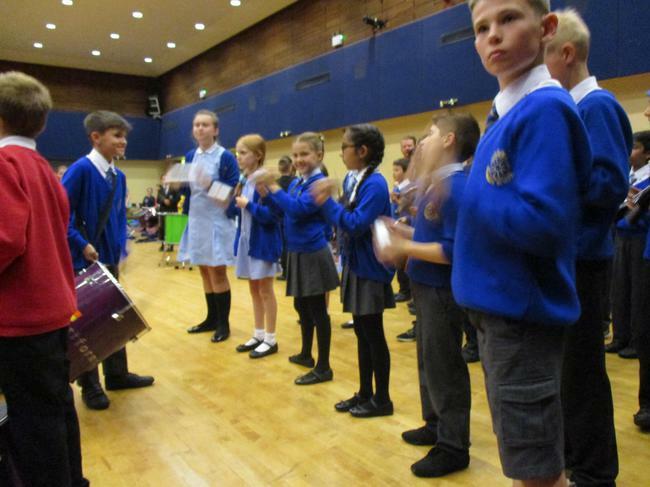 A huge well done to all of Year 5 who performed with confidence and made the accompanying staff feel very proud! 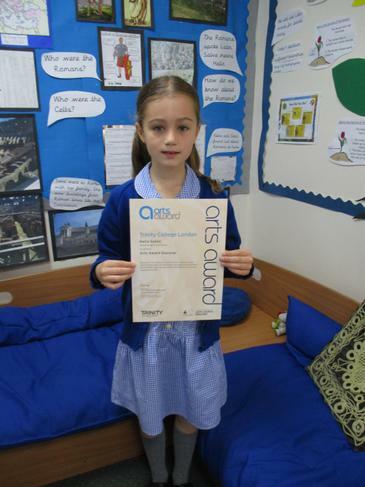 We were delighted to receive out Arts Award Discover certificates! As part of Arts week, we composed our own musical pieces based on the theme of Spring. Then we performed them to the class-can you spot your picture above? 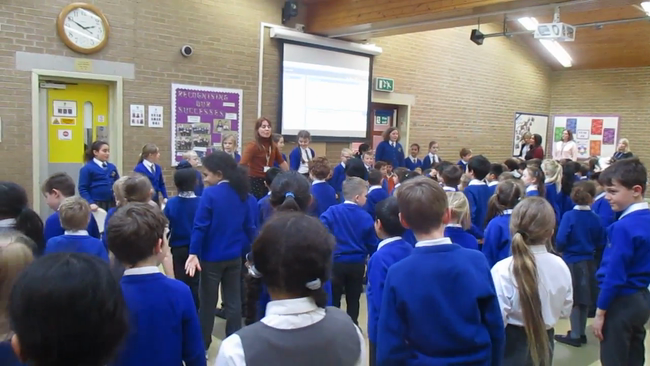 We're really enjoying learning this year's sing up day song-visit the link above to view their video with lyrics!